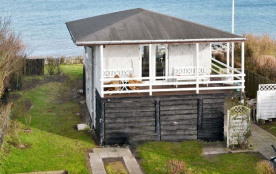 Holiday cottage right at the ocean with direct access to the beach and with an amazing panoramic view of the ocean. From the covered terrace you can enjoy the ocean view even more. Ground floor has 2 bedrooms, toilet and a separate shower room. 1st floor has the bright and large, combined living/dining room and kitchen. The living room has i.a. flatscreen TV, DVD player and radio with CD player. Enjoy the amazing ocean view through the large windows in the living room or even better from the covered terrace. On the other side of the house there is a large balcony. 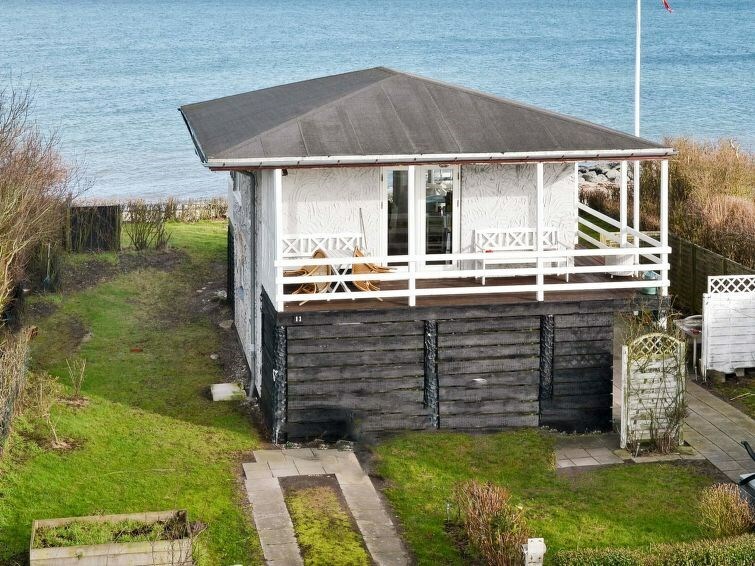 The house is located on a 251 m² large beach plot bordering the beach. Nordfyn Municipality - 6 pers.